China’s economy has already felt the pinch from a multi-year crackdown on riskier lending that has driven up corporate borrowing costs, promoting the central bank to pump out more cash by cutting reserve requirements for lenders. The official Purchasing Managers’ Index (PMI) released on Saturday fell to 51.5 in June, below analysts’ forecast of 51.6 and down from 51.9 in May, but it remained well above the 50-point mark that separates growth from contraction for a 23rd straight month. 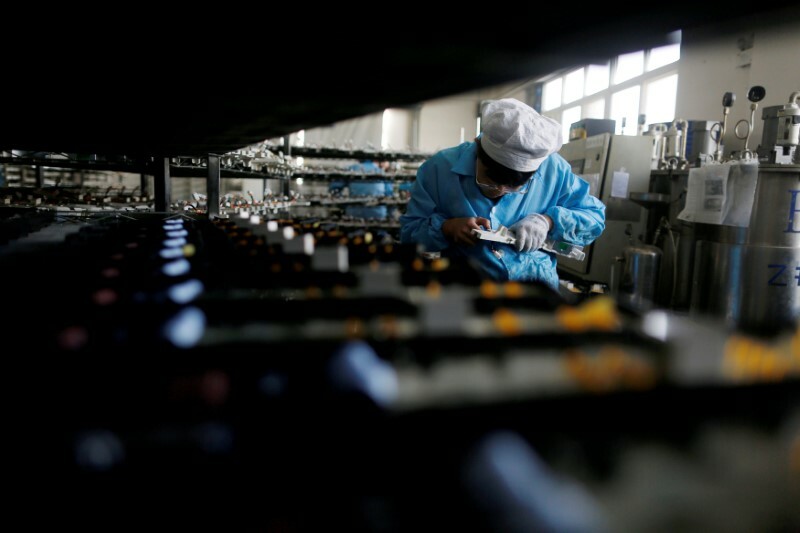 “Domestic demand is weakening and external demand faces pressure from escalating trade frictions between China and the United States,” said Wen Bin, senior economist at Minsheng Bank in Beijing. Wen said he expected the central bank to continue to lower banks’ reserve requirement ratios (RRR) in the coming months to help ward off a sharper economic slowdown. After May’s official factory PMI touched an eight-month high, there have been increasing signs that China’s economy is finally slowing. While the economy could likely handle these domestic challenges without growth slowing dramatically, the trade dispute with the U.S. is adding to uncertainty about how China’s economy will react. As U.S. President Donald Trump has ratcheted up the pressure on China with threats of new tariffs and investment restrictions, China’s stock markets and currency suffered one of their worst months in years in June. After a sustained sell-off, China’s yuan and stock markets recovered some ground on Friday, yet investors were grappling with some of their worst losses in years as a bitter Sino-U.S. trade row threatened to rattle the country.